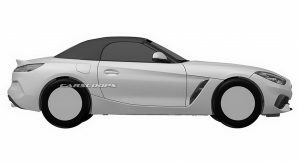 As BMW gears up for the official reveal of the new Z4 Roadster, a series of patent images allegedly showing the full production version of the new open-top two-seater sports car has found its way online. 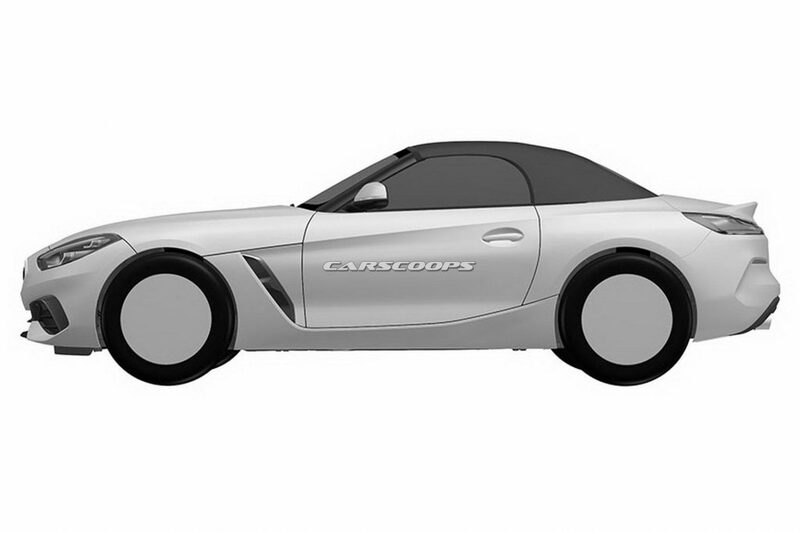 This is the first time we can clearly see what the brand new Z4 will look like. 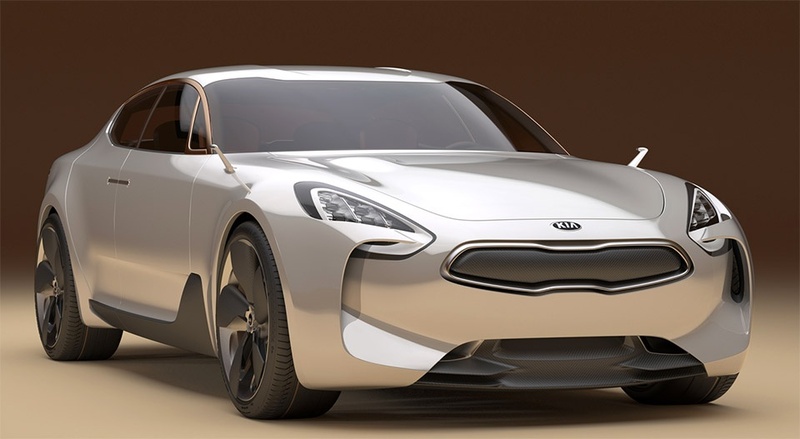 As expected, the production version borrows heavily from last year’s Z4 Concept which served as a preview. 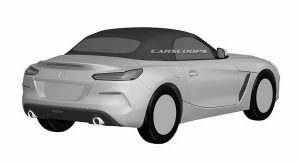 According to these patent images -first shown by Autoweek.nl– the new Z4 will retain the classic long nose-short rear proportions and soft top, with the cabin sitting closer to the rear axle and the front end dominated by BMW’s wide kidney grille. 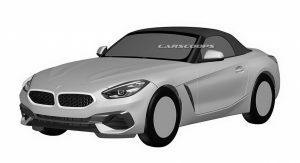 BMW recently revealed a few details about the upcoming new Z4, mentioning that the range-topping version will be the M40i. The fastest derivative of the new Bavarian roadster -at least initially- will be powered by a new “extremely powerful” six-cylinder engine. 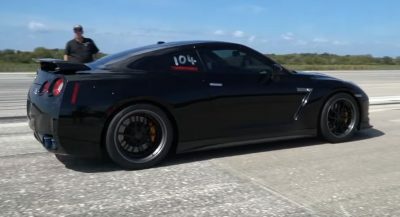 The most recent reports talk about a twin-turbo 3.0-liter unit making between 360hp and 380hp. 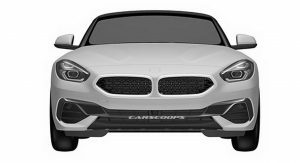 The upcoming BMW Z4 M40i will also feature a lowered sports suspension with electronically controlled dampers, along with a new front axle and a locking rear differential. 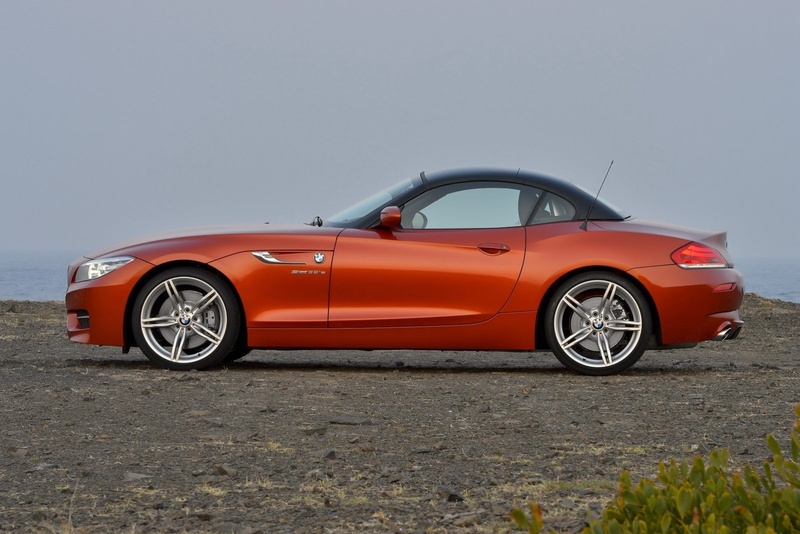 BMW promises that the new Z4 will be a “purebred roadster”. It will interesting to see if the new Bavarian Z will finally become a true Porsche Boxster rival, given that the chassis was co-developed with Toyota as it’s also going to be used in the new Supra. 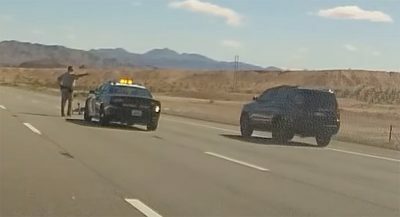 “The high level of body stiffness and the very rigid suspension attachment provide the perfect basis for a set-up that guarantees the performance qualities of a genuine sports car in terms of steering precision as well as longitudinal and transverse acceleration,” said BMW’s suspension guru Jon vas As a week ago. 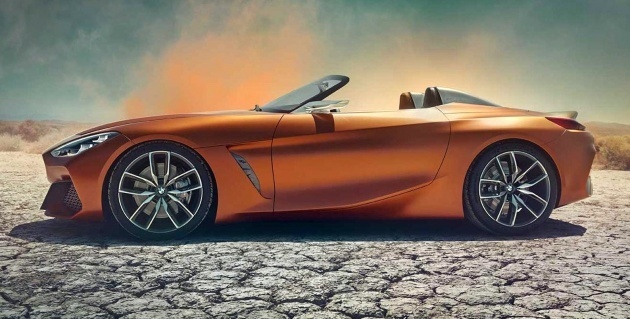 The new 2019 BMW Z4 is expected to be revealed this summer and make its public debut at the Paris Motor Show this fall. Yeah, rims are wicked sweet! I’m seeing some SLK Kompressor throwback cues. I will try not to play the impossible game stating that either BMW does something different and it’s an insult to its history, or it’s too predictable and thus bland and uninspired. I am not sure whether I like it or not. It has a bit of a bland feeling but that might be because the rims are not there. 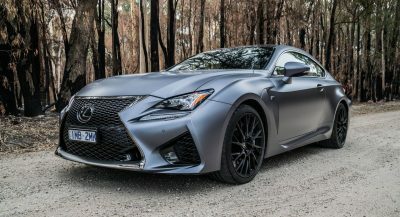 I notice that the hood is way shorter than it used to be (think of first gen Z4), and overall it looks like a much smaller car, more nibble (perhaps like an Miata) to me. In conclusion, I’m really looking forward to see the official photos. It has lost some of the sharpness compared to concept but hopefully in metal it will look much better. At least the large side air scoop is still there, something that usually doesn’t live past concept phase. They rarely look like concept. 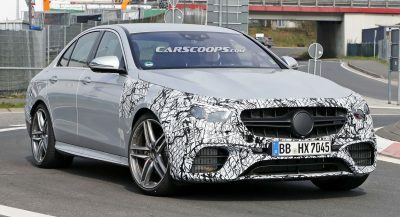 The same will most likely be true for the M8 Gran Coupe. Take the kidney grille off and you will not be able to tell if it’s a Mazda, a Lotus, or whatever else. That’s not a very strong argument in my eyes, because the same applies for most cars and brands 🙂 I’m glad that BMW has finally come up with a new design theme and tries to differentiate their cars even further. I’m not saying it doesn’t. 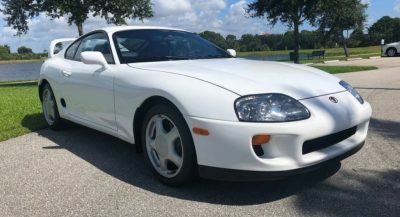 Almost every car on the market looks generic these days. But I was expecting more from this model, maybe because it was hyped so much. BMW is clearly trying to find something new in terms of design. This is easy to spot in the new X5 and this Z4. I think we should wait for the first official pictures to surface. The headlights make it look like a Beverly Hills housewife after a eye-lift procedure. Looks exactly like the show car……??? Not as radical as the concept to be sure but a looker nonetheless. 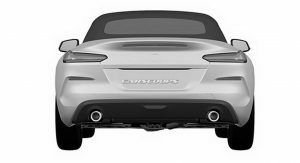 The shape from the back is surprizingly like a Boxster. Sure, but the old Z4 was way too long and heavy. I think BMW made the right decision reducing the overall dimensions and the weight of the car. Hopefully it will shed some weight. I’ve seen that the car was up to 50kg lighter ? But i not sure if that was 35is vs M40i specifically or across the range. Anyway most of that is due to the soft top (the previous gen had a very heavy hard top), i’d have expected more tbh but then again they might have added some kit (the M40i for example has the M Diff) for better handling and stuff. Way too long? It’s 4.3m, or roughly the size of a Ford Focus. 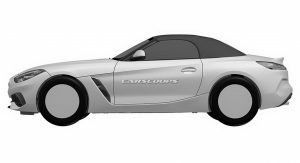 There’s no reason to believe the new Z4 will be an appreciably smaller car, although I have no doubt it will be substantially lighter. Maybe I was exaggerating a little bit 🙂 But considering that the Z4 is supposed to be a nimble roadster, it’s actually quite large and heavy. The first generation for example was just a tad longer than 4 meters. Therefore I’m kinda disappointed that BMW made the new car even longer and reportedly reduced its weight only by a few kilos. It’s looks a bit, dare I say, Bangle-ish? Also underwhelmed. All this time waiting…for this? I’m…not impressed. Overall it looks really rather bland. Sure, it’s not ugly and you cannot ask BMW for something original, but a roadster should nevertheless be aggressive and sharp-looking, and this isn’t. Hopefully it’s just the patent images that spoil the looks. stop writing terrible inaccurate titles, this is what your credibility will look like. Like wtf are you kidding dude, what a terrible headline. look at these comments that are judging based on this. You guys are getting really bad this whole auto journo thing. geebus. Doesn’t look that good after all. When did BMW and Mercedes forget how to make attractive headlights? They used to have some of the best looking in the biz. Now they’re all ovoid and odd looking making their cars look a bit dumb up front. Overall, a mess. I cant imagine this selling well. At least the current, dynamically challenged Z4 is a beauty. These little roadsters are all about looks! Poor BMW cant design a handsome car anymore. 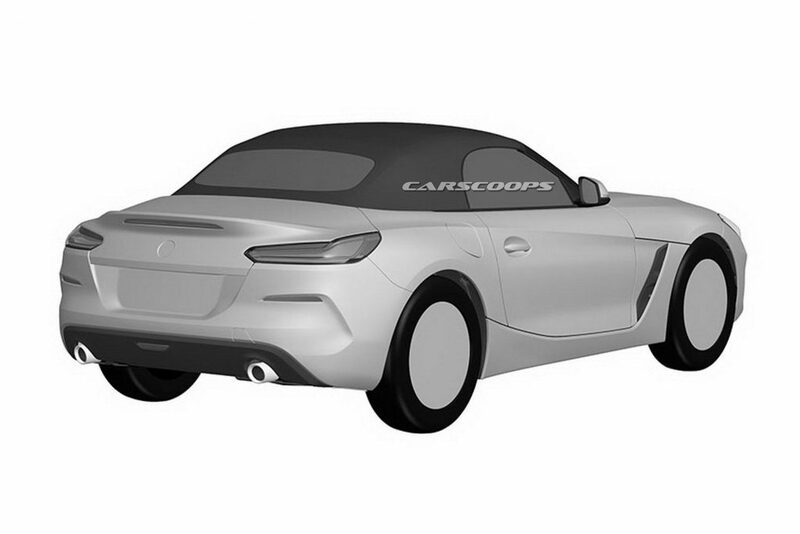 Looks like an SLK in some parts, like a Porsche Boxter in others (especially in the back). 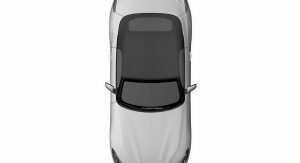 The huge air scoop on the side looks like that of an old Hyundai coupè…Na.